KATHY SLEDGE Discusses Her Favorite Memories With Sister Sledge, Her Newest Solo Music, Biggest Inspirations and More! The producer/duo The Aristofreeks is made up of Max Martire and Shanti Matkin. The song was first released to the club and EDM festival circuit on Pacific Electronic Music as The Aristofreeks feat. Kathy Sledge, hitting #2 on the Billboard Club chart. Now, the new radio mix of song is available to fans worldwide. The Aristofreeks originally met Kathy via the EDM remix they did of “We Are Family,” with their EDM “Disko” music blend. Additionally, a new concert tour titled “Kathy Sledge Presents: My Sisters and Me” featuring Kathy Sledge, Deniece Williams, Karyn White and CeCe Peniston, launched last Fall at Foxwoods Casino in Connecticut. More than a concert, this “sisterhood” experience unites these legendary artists in story and song – connecting with the audience both individually on stage, as well as a group. 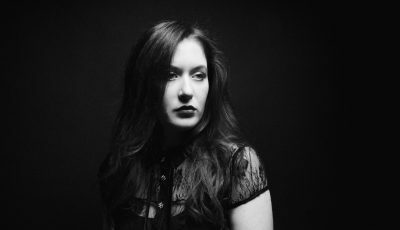 Kathy has also been partnering with talented songwriters and producers for studio projects that span elements of EDM, R&B and rock; and launched the critically acclaimed show The Brighter Side of Day: A Tribute to Billie Holiday. In addition, she recently appeared on BET’s “Black Girls Rock,” where she performed in front of First Lady Michelle Obama, and other notables; and at the UNESCO Center for Peace’s first Nelson Mandela International Birthday Celebration. Thanks for your time today! So, what’s a typical day look like for you lately? A typical day always starts off with prayer and meditation. Then it’s fitness for me. If it’s cardio, I usually keep it at a three mile run, or strength training with my son Trainer. I was a gymnast in my college years and later taught fitness for over 15 years, so it’s pretty much a huge part of my personal daily routine. I’m also a yogi! I love a great hot yoga class, especially my Bikram classes. Next, a typical business day for me means working on one of my productions, preparing for an upcoming concert, or writing and recording. I believe “being present” plays a huge part of being consistent. What were some of the highlights of 2015 for you? What are you most looking forward to this year? I’m very excited about the release of ‘Keep It Movin’’ with the Aristofreeks – producers Max Martire and Shanti Matkin. I just returned from Amsterdam where they have a state of the art recording studio. We have collaborated on several more songs, and are actively working on a very exciting project (with some very exciting guest artists coming on board)starting with the Spring release of ‘Keep It Movin’’ and the new dance video. I am also excited about my Billie Holiday Live Production, and CD, BRIGHTER SIDE OF DAY. We debuted the production three years ago and currently wrapping up the jazz CD of the production. What was the inspiration for your newest EDM single with The Aristofreeks, “Keep It Movin’”? Max Martire’s driving rhythms and music track inspired me to write the lyrics and melody to “Keep It Movin’” My personal life experience inspired the body of the lyrics. Most people know my story, after the very bad business and lawsuit from my sisters. It was an emotional catharsis for me. I had to pick myself up and, in a sense, start all over. But I strongly believe it is through our adversities that we “lift ourselves up.” Through our passion, we forge forward…and if we listen, God will lead you to walk boldly into your purpose. The lyrics sound like that of a love song, but really they became my mantra, to keep it moving no matter what….you can make it. How did that collaboration with them come to be? What was it like working with them on the song? It started with the Aristofreeks wanting to remix and produce some of my early Sister Sledge hits. Then we discovered how strong a writing team we are together. Their tracks inspire moods, emotions and inspirational collaborations. We have an amazing chemistry, and we are presently working on an electrifying project. It just keeps getting better…stay tuned! 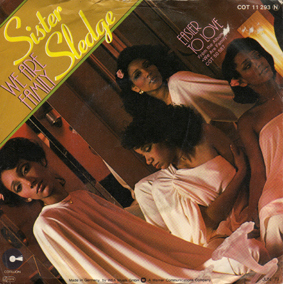 Looking back on your time with Sister Sledge, what were some of your favorite memories? Is there anything that you would change about that time period? My proudest moment in my Sister Sledge days is the fact that the lyrics of “We Are Family” were written about us. I will always be proud that those lyrics were a portrait of the very early age of our sisterly love. “We Are Family”, “He’s The Greatest Dancer” and “Frankie” are just a few of the many hits that you had with Sister Sledge. What do you think it was about those songs in particular that people loved so much? Do you think if they were released today, they would have the same effect on listeners? I firmly believe that “good music is good music.” A song like “We Are Family” is virtually timeless. It happens to be the kind of song that everyone can relate to and has stood the test of time. Most of the early Sister Sledge hits always had an uplifting spirit to them. It honestly makes me feel proud to be that signature voice on such “feel good” music. I truly believe if certain songs were released today (of course if technically and musically updated) they would have the same effect that they had back then. It always starts with a good song, and what I have learned, is that my music is brand-new to a whole new generation and very well received. What was your fall tour “Kathy Sledge Presents: My Sisters And Me” like? What was it like performing with Deniece Williams, Karyn White and Cece Peniston? Will there be more dates this winter and spring? Liberating! I love the respect that we as artists have for each other. Deniece, Karyn and Cece are all consummate entertainers. 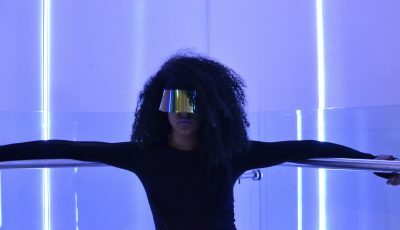 As a producer, I wanted to uplift a production emphasizing sisterly love and unity. I invited “sisters in song” to share the stage with their iconic hits. We debuted the production this past Fall on the east coast, and the response was overwhelmingly successful. I am now presently taking meetings with interested investors/promoters and agencies. The traction is very strong and it is being very well received with plans to tour as early as this spring and summer. How are your live shows different today than they used to be when you first started performing? I believe that with any craft, when you nurture and respect your gift, you will certainly become greater and better with time. Can you talk about launching “The Brighter Side of Day: A Tribute to Billie Holiday”? Why did you decide to get involved with it? I’ve always had a huge amount of respect for Billie. In my early Vegas days of touring with my sisters, I would perform a tribute to Billie as part of our show. It was always hugely received and it was known that I would literally “bring Billie to life” on stage. In “Brighter Side of Day,” we lift up Billie and her music and highlight the strength she endured as an entertainer. The production literally propels you into the 40’s, emulating Louis Jordan and the Timpani Five ,Max Roach on the drums, Bud Powell on the piano. And of course, Holiday in the center of it all. We debuted the production three years ago, and now we are getting calls to tour in some of the major jazz houses across the country. It’s so exciting to see something that you believe in take on a life of its own! You recently performed on BET’s “Black Girls Rock” in front of First Lady Michelle Obama. What was that like? One of the most exciting moments ever! Especially to see her sing along! My bucket list is to be able to perform the song alongside The First Lady and her daughters! Do you think that what propels you to perform and record new music has changed over the years? Do you think about it all differently now? A friend once told me: passion is passion. When you have a passion for something you love, it never changes. At the end of the day, what do you hope listeners take away from attending one of your shows or from listening to your songs? I will never take it for granted when someone has taken their hard earned money to enjoy an evening out to see my performance. I hope they leave feeling special, because they truly are to me — and that they entertained — because that is why I’m here. I have always been humbled when people say that my voice is distinctive and uplifting . My hope is that my music and voice will continue to lift the spirit and make you feel good…really good. Singer-Songwriter, DAVID RYAN HARRIS Discusses His Favorite Tour Experiences, Balancing Fatherhood With a Music Career, Opening For EMILY KING And More!